Studying thousands of kilometres away from your family is no walk in the park, but it helps if you are driven by inspiration. 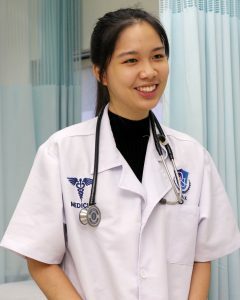 For Sabah native Sandra Len Zing Mei, the motivation to pursue a medical degree in Ipoh’s Quest International University (QIU) comes from her goal to help others. From her hometown of Kota Kinabalu it can easily take half a day or more to travel to Perak’s capital city. It is not easy, but Sandra is driven by the goal of giving back to humanity, and the state she grew up in. Now in her second year, Sandra Len Zing Mei is enjoying her medical school journey at QIU, surrounded by a cultural melting pot of friends, classmates and lecturers from different countries and backgrounds. Sandra (third from right) sharing a light moment with her friends. “One of the reasons why I took up medicine was to heal the sick. I was always fascinated by how the human body works and how we could help people recover from illness,” she said. Sandra’s interest in medicine was first piqued at the age of 16 — but at that point, her attention was drawn to the field of veterinary science. Over time, she focused on medicine for a simple reason: “Animals are complicated. There are too many species of animals, and there’s really only one species of human,” she joked. To realise her goals, Sandra had to choose a university that would give her the tools she needed. She was looking for an institution that was right for her — a university that would provide quality education while not being too far from home. And during a 2017 education fair in Kota Kinabalu, she hit the proverbial jackpot. “We were looking at a number of universities at the fair, but my parents and I came to the mutual conclusion that QIU was the best choice,” she said. 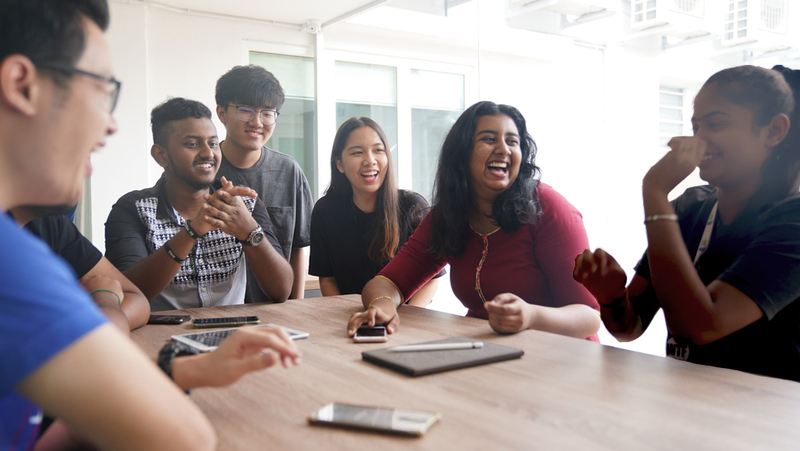 Now in her second year, Sandra is enjoying her medical school journey at QIU, surrounded by a cultural melting pot of friends, classmates and lecturers from different countries and backgrounds. “The learning environment is incredibly conducive here. With smaller groups, there is more attention and focus from our lecturers, who are always available,” she said. “We can work on cadavers and learn with cutting-edge medical equipment in mock wards. We can actually see, feel, and experience what we are learning. “It’s easier to visualise the methods this way, compared to imagining it from a book. It just makes you more assured in your abilities and it gives you more confidence for when you go out in the real world”. The industry-based facilities and learning methods at QIU’s Faculty of Medicine also helps Sandra and her classmates to develop crucial skills and values that will come in handy in their future careers. “We learn to to work together effectively as a team. Already, I’ve developed a deeper understanding on how important it is to communicate and to take other people’s views into consideration. “After class, we can all go out as a group of friends as well, and that only makes the team spirit stronger”. All about giving back 0 out of 5 based on 0 ratings. 0 user reviews.